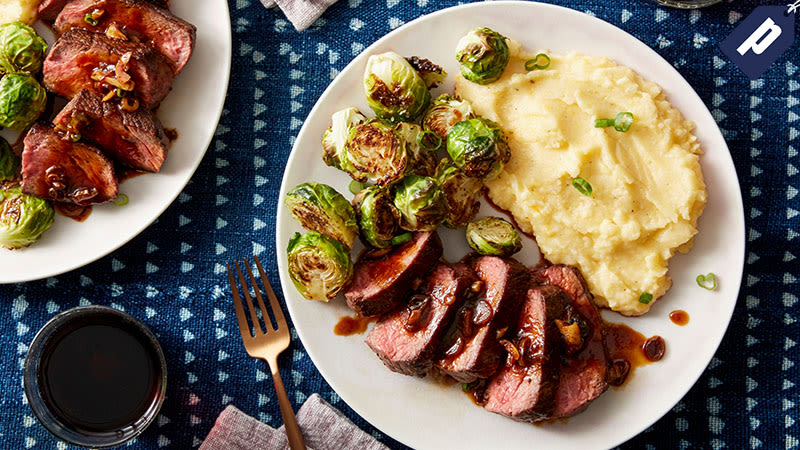 Blue Apron helps you cook seasonal meals that are fun and easy to make in the comfort of your home without having to shop or plan ahead. Start cooking now and save $30 on your first week (three meals for two people). Discover unique ingredients that you won’t find at your average supermarket like honey nut squash, dried Turkish figs and mascarpone cheese. Because all your ingredients are perfectly pre-portioned, you’ll use everything you receive without wasting time at the store. Blue Apron also sets high standards for their ingredients. Their culinary and farm partnerships teams work directly with farmers to help plan crop rotations and create recipes based on what’s in season. This way you get the freshest produce delivered straight from the farm. Plus, Blue Apron has developed a sustainable food system by supporting farmers who use regenerative practices, building healthy soil for sourcing sustainable food. So avoid recipe planning and grocery shopping and choose up to three meals each week with Blue Apron. Take $30 off your first box and discover a better way to cook. Blue Apron now delivers to the contiguous United States. Subscriptions auto-renew, if you like it, no action is required. Otherwise, skipping a week’s delivery or canceling must be done prior to the weekly cutoff date. Offer is for new customers only.